No in-depth look at a nutrient is complete without considering proper dosage, safety and drug interactions. So let’s finish my series on vitamin B12 on this note: be healthy and stay safe! 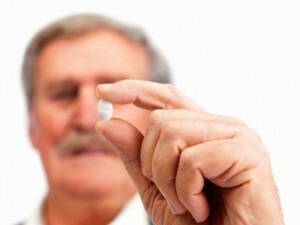 suggests that older adults can benefit from 10 to 25 µg a day. IMPORTANT: Stomach ulcer drugs could cause B12 deficiency. have this procedure done, check with your doctor before taking any of these vitamins. Treatment of vitamin B12 deficiency can unmask a condition known as “polycythemia vera.” This is characterized by an increase in blood volume and the number of red blood cells leading to blockage of blood flow or peripheral vascular thrombosis. gastric reflux; and other gastric acid inhibitors known as H2-receptor antagonists (e.g. “Zantac”) for treating chronic ulcers. I’d advise that, if you take these drugs, consider a vitamin B12 supplement. Other drugs that inhibit B12 absorption include: cholestyramine used in the treatment of high cholesterol; choramphenicol; neomycin (antibiotics); colchicines (to fight gout); metformin (to fight diabetes); aminosalicylic acid; and anticonvulsants (phenytoin, phenobarbital, primidone).